The week after the 2016 election I posted a message on social media, calling out to all of the young people in my life that I have been blessed to know, love, and lead. I felt like I needed to apologize. I felt in that moment and now, as a professional bent on engaging youth in social justice, that it is my responsibility to leave a better world for those who come after me. The last election was a moment when many, myself included, felt guilty for not having done more. Click to learn more about JCUAs Organizing Fellowship. But perhaps instead of an apology, what I should have written was a message of gratitude and pride. Because the young people I work with are not just looking at me with fear and frustration at the world I am leaving them, but with a matter of fact look that says: Give me the tools – we can fix this. I feel deeply that young people today are more clever and capable than ever, and that they have a drive and ambition that is unmatched. It would behoove adults to step back and listen up. Since I came on staff with JCUA, I have been humbled so many times watching young leaders take ownership over justice work. 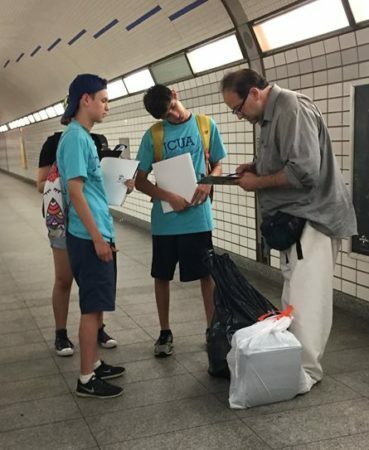 This summer, when canvassing for police accountability at a busy CTA train stop, Or Tzedek teens collected more signatures than even my most ambitious estimates would have allowed – and most had never canvassed before. Over the last year I saw JCUA’s Organizing Fellows jump at the opportunity to take on major roles in our immigration justice campaign work. Whether it be direct action, community meetings or legislative visits, they navigated difficult situations with grace. 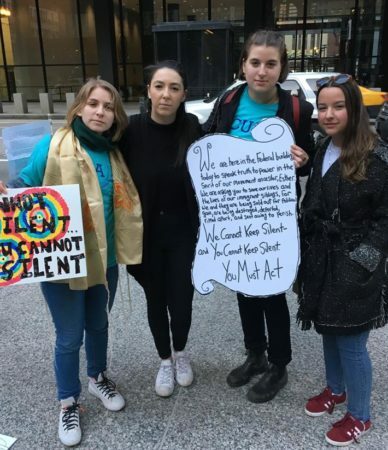 And at March for Our Lives protests across the state last month, I was unsurprised to see my students at the head of their high school and university walkouts. Yes, I am in awe every day at the energy young people bring to social justice movements. But I also see that they fall prey to the very same challenge we all do: how to sustain the momentum. Seeing youth across the country standing up to elected officials and lobbyists to stop gun violence is inspiring. But are they caught up in the moment of it? What happens when our attention moves elsewhere? What happens when the feelings of fear and anger at the world’s problems are less raw? We don’t only need social justice when we feel it in our gut. We need it always, and every day, for a very long time. So it turns out that the message I want to send to young folks right now is more of a question: How are you taking the anger and the urgency you feel in this moment and turning it into real tools that make a long term impact in people’s lives? Will you go all out in this one instance until the media dies down? Or will you also organize your community and work together, strategize, learn, build skills and grow your network so that the world as you want it to be becomes your reality? At JCUA, we act on the Jewish value of L’Dor VaDor everyday through our youth leadership programs. We pay it forward so that when the next generation shows up and tells us they’re ready, we can hand them the tools to fight for the long haul.